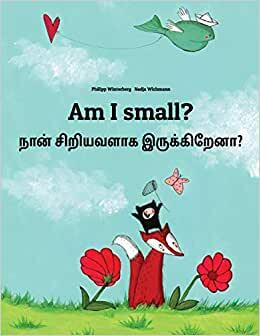 Bilingual edition English-Tamil: Am I small? - Tamia is not sure and keeps asking various animals that she meets on her journey. Eventually she finds the surprising answer... Nan rompac cinnavala?  Tamiyavukkuk kulappam. Varicaiyakap pala mirukankalaic cantittu intak kelviyaik ketkiral. Kataiciyaka avalukkuk kitaikkum patil, mikavum accaryamanatu! 5.0 颗星，最多 5 颗星Great find on Amazon for my friends from India and their toddler.